You’re off to a wild start, with four unforgettable days in Katmai National Park to experience some of the most natural, unconstrained bear viewing in the world. Boat out into the bay each morning with your guide to explore different beaches where bears congregate to dig razor clams, catch salmon heading up tributary streams, roll in the grass, tussle, and lounge. If conditions allow, you can go ashore for unparalleled photography and observation. From Katmai, fly via Anchorage into one of our favorite backcountry lodges in the pristine and beautiful Lake Clark National Park & Preserve, where streams and lakes support the phenomenal Bristol Bay salmon fishery. You can hike, kayak, canoe, or try some epic fishing or flightseeing. 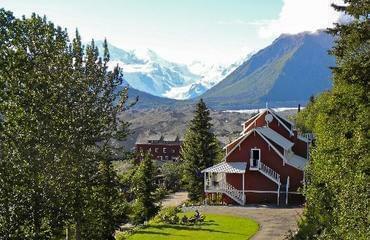 For the grand finale, fly into Wrangell-St. Elias National Park & Preserve. This needs to be the biggest national park in the United States because it holds four mountain ranges, a glacier larger than Rhode Island, uncounted rivers and streams, and a mining ghost town, where you stay in a living-history lodge. Your first day here, you’ll take a bush plane up to Kennicott Glacier, land on a dirt strip, and spend the day hiking and exploring the glacier and its moraines and adjacent wildflower meadows. Views are stunning. A half-day glacier hike the following day gets you out on a glacier to see blue pools, waterfalls, and moulins—holes bored deep into the ice by flowing meltwater. This is true Alaska, as promised. Bear viewing in Katmai: You have four days to be with the bears of Katmai. The guides at your idyllic wilderness lodge know the bears' habits, seasonal routines, and personalities, and soon you will too. Active exploration: Hiking, glacier walks with crampons, kayaking and canoeing, optional fishing—you're out in it on this trip, way out. Bird's-eye Alaska views: Small planes are a way of life in Alaska, and you'll thrill to some super scenic flights-including through Lake Clark Pass over glaciers and streams, and into the jaw-dropping mountain kingdom of Wrangell-St. Elias National Park. Wrangell-St. Elias National Park & Preserve: This vast wilderness park (the biggest in the U.S.) is like an Alaska within Alaska with its mountain ranges, glaciers, and rivers. 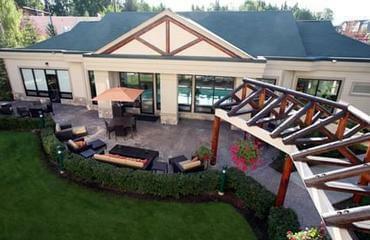 It is splendid isolation cushioned by a comfortable lodge with a big front porch. Depending on when you arrive in Anchorage, you may want to walk the Tony Knowles coastal greenbelt trail, visit the Alaska Native Heritage Center or Anchorage Museum, or consult your personal OBP Journey Guidebook for other ideas on shopping, attractions, and dining. From your downtown hotel overlooking the St. Paul Harbor, you can walk the docks, visit the Russian cemetery or Baranof Museum, explore historic ruins of a World War II coastal defense installation, or find other ideas in your OBP guidebook. Catch a 45-minute floatplane ride to Katmai Wilderness Lodge for four extraordinary days of being with bears. You will see bears right from the lodge, but each day you’ll set out on short boat rides with your guide to look for bears on beaches and in meadows around the bay. In addition to bears, you might see bald eagles, sea otters, seals, and seabirds, as well as occasional whales, moose, and wolves. A floatplane takes you back to Kodiak to hop a jet for the hour-long flight back to Anchorage. Depending on your timing, you can catch some of the sights you missed the first time around. 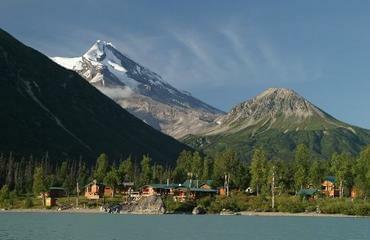 A breathtaking small-plane flight through Lake Clark Pass delivers you to the park and your fabulous backcountry lodge. Choose your joy here: hiking, kayaking, fishing, or even helicopter-in bear viewing. Wake up on the shores of Lake Clark this morning, and two flights and a drive later, you’re in the heart of Wrangell-St. Elias National Park & Preserve. On your spectacular first day, you jump in a bush plane and land with your guide on a tiny dirt airstrip right next to Kennicott Glacier. The flight is spectacular, and the hiking is even better, with wildflower meadows and panoramic views. Climb the mountainside, or cross the moraine to explore the glacier. On your amazing second day, learn all about glaciers as you trek on Root Glacier. You’re back in plenty of time for a fascinating afternoon prowl through the Kennecott ghost town (spelled with an “e” instead of an “i” after the Kennecott Mining Company), where you can go inside historical buildings still strewn with remnants from the copper mining heyday—including the 14-story concentration mill. Ready to tackle some stairs? In reverse of what you did coming in, catch a small plane to Chitina and drive back to Anchorage. The pleasant 5.5-hour drive takes you through the farms and gardens of the fertile Matanuska Valley, settled in the 1930s by farmers fleeing the Dust Bowl. Stop in at the Musk Ox Farm to learn about qiviut, the finest wool in the world, eight times warmer than wool and softer than cashmere. 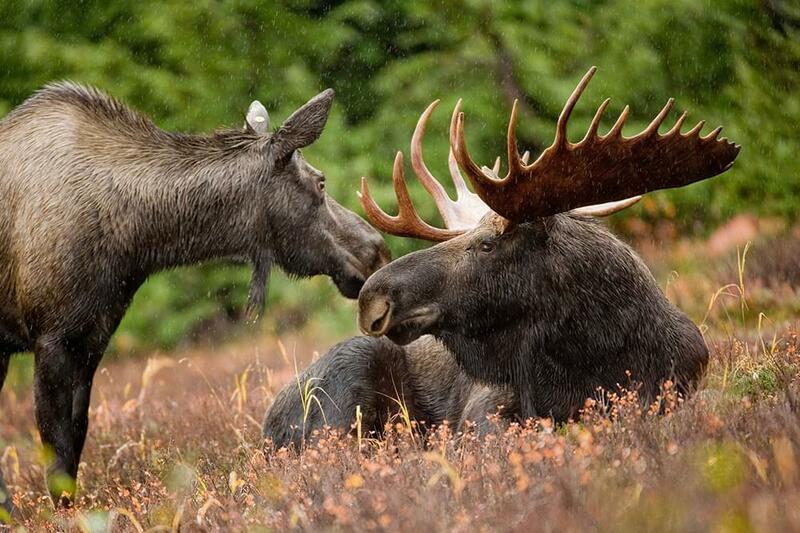 It’s never easy to leave Alaska, but you’ll be taking the sense of space, and thrill of true wilderness, home with you. You can always come back. Conveniently located near the airport, this Marriott hotel has a full-service restaurant, fitness center, and swimming pool. A complimentary shuttle is available to get you to and from the airport as well as take you downtown to explore. Wilderness is literally their middle name, for good reason. 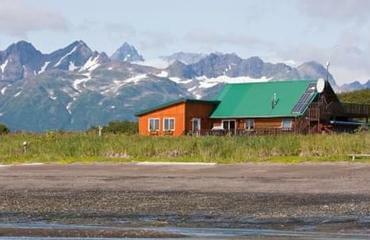 This very secluded fly-in lodge on Kukak Bay in Katmai National Park & Preserve has only bears for neighbors—and otters and seabirds and sometimes orcas. The lodge hosts 12 guests at a time, in seven comfortable guest cabins with full bathrooms, and a lodge with dining room and a deck for relaxing and seeing what creatures might walk by. The food is artfully prepared and fabulous. Guides take you out every day for exclusive and intimate wildlife adventures. Remote and remarkable sums it up. Six private, comfortable log cabins set in pure Alaskan splendor, plus a staff of passionate guides, deliver an experience you’ll never forget. Hiking, fishing, and flight touring are the name of the game here. The lodge is on the lake and surrounded by 4.1 million acres of wilderness, so there’s plenty of room to roam! You’ll feel like you’ve stepped back in time and you have, at this lodge tucked into the copper-mining ghost town of Kennecott. The Main Lodge is one of the original company-town buildings (bathrooms down the hall) while the South Wing is more modern, with a bright common room and spacious front porch with panoramic view. A casual dining room offers delicious meals, with dinner served family style.